SECS is a general service contractor that provides pipe and drape, tables, chairs, and more to Expos and Conventions all over southeast US. If you are looking for a high quality, low priced alternative to the “big” guys then we are perfect for you! No more lazy workers, overcharging, late and unexpected bills, and poor client relations. When you need reliability, we can be there on time or early! 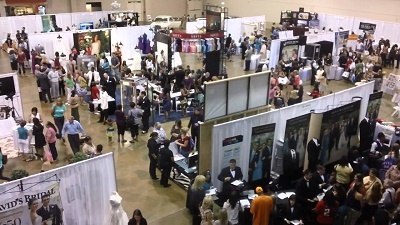 Our unique experience as show producers allows us to give a critical look at the typical General Service Contractors for tradeshows and improve in all areas. We value our client relationships and view our clients as partners. Contact us today to discuss your event. We would love to partner with you on your Expo, tradeshow, conference, or convention to improve the weakness areas with your current decorator. If you are looking for a convention & tradeshow general service contractor or decorating service, please call 1-888-608-EXPO or complete our online request form.